Hello! So today I thought that I would do a little fashion inspiration. 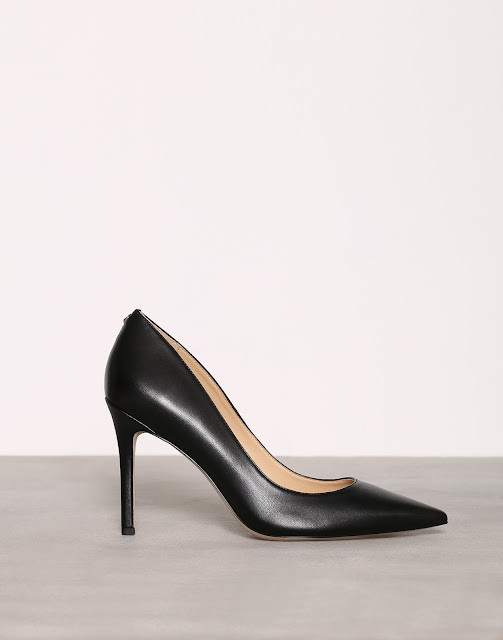 I have been looking for a pair of black pumps or just a nice pair of black heels for a while now. I have looked everywhere but I haven't been able to find any that I like. So frustrating! It shouldn't be that hard (first world problem!). I know that the weather is getting colder and not wearing proper shoes on your feet is like dipping them in ice water. My feet are always cold even during the summer when it's hot outside. I sleep with three pairs of socks plus two pairs of wool socks because otherwise I feel like my feet are in Antartica. But as that saying goes "Vill man var fin så får man lyda pin". 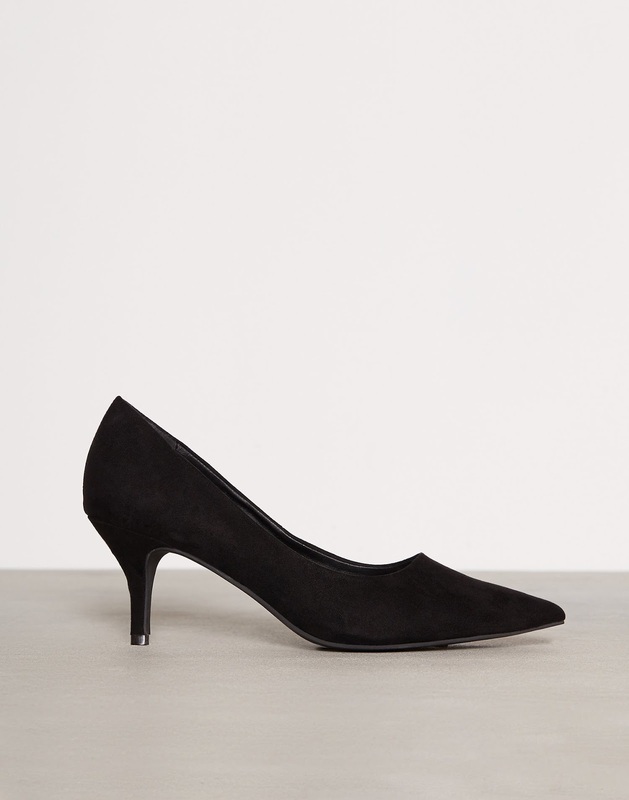 As I said I am on the hunt for a pair of black pumps. Black pumps goes with everything that is why I need a new pair. I was about to give up on finding a pair and wear the ugly ones that I have at home until I checked Nelly.com this morning. I found seven pairs that I like! One for each day of the week! Hahahaha. Below you can see the shoes that I found on Nelly. Right underneath the picture is a link to the site you can buy yourself a pair!